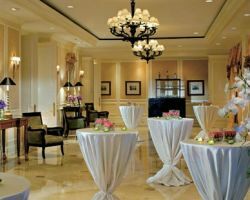 The variety of options in one location is what makes The Ritz-Carlton Coconut Grove stand out amongst other wedding venues in Miami, FL. From their ballrooms to their outdoor garden wedding venue, they have a style to suit every couple whilst also remain sophisticated and luxurious. They are also available for bridal showers, afternoon teas, Quinceaneras and every other kind of event, so no matter what you are looking for, this venue and their expert hospitality team will deliver excellence. For any couple that has dreamed of getting married in the Mediterranean, Villa Woodbine allows you to do so without leaving Florida. Walter De Garmo designed the building in a Mediterranean-Renaissance style that will make you feel like you are sunning yourself on the Spanish coast. 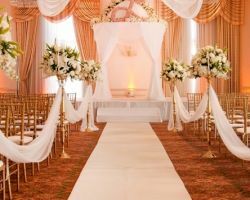 With a Cuban style interior design the exotic feel of the venue is complete. Having been the home to many famous people it can now be the setting for your wedding. Although Villa Woodbine is not cheap, its reviews show it is worth every penny. An exotic destination wedding location that is right in your neighborhood is a dream come true for native Florida couples. As a prime beachfront property, Miami Beach Resort can offer locations with views stretching across clear blue water with warm breezes and a relaxed atmosphere. Their Starlight Room is located on the 18th floor and has amazing views of the Biscayne Bay. 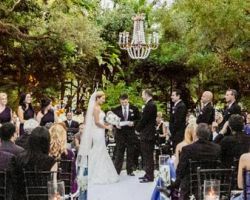 Options to have a poolside rehearsal dinner, a wedding ceremony in various reception halls and dinner in a number of banquet halls, means that Miami Beach Resort has the best range of choice for any couple. Kovens Conference Center can give couples planning a quiet, more intimate event experience they\'re looking for without the price involved with renting a private island. This retreat has jaw-dropping views of Biscayne Bay and hosts will find the extravagant menus offered at affordable rates. The staff here is known throughout Florida for excellent service standards and provides those planning a formal affair with straightforward package listings and prices on its website. 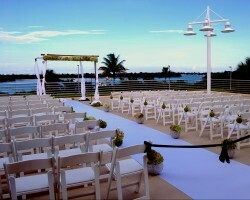 With all-around positive reviews, this Miami wedding venue is a reliable choice for anyone planning an event. 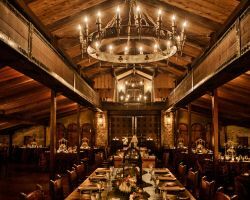 The beauty of The Cooper Estate is that they are able to accommodate any style and size of event. It can be a small wedding venue, a wedding chapel or one of the best party venues in the state. The variety of The Cooper Estate comes from their property spread across the estate and their naturally serene outdoor locations. With their extra services such as: a fully equipped bar, complete WIFI access, complimentary parking and delicious on site catering, The Cooper Estate has all of your needs covered in this unique location.